Myasthenia gravis (MG) is an autoimmune disorder mediated by antibodies against proteins at the neuromuscular junction. Juvenile-onset MG (JMG) has been reported to have special characteristics. It is still unclear whether there are any pathogenic and genetic differences between juvenile and adult MG. 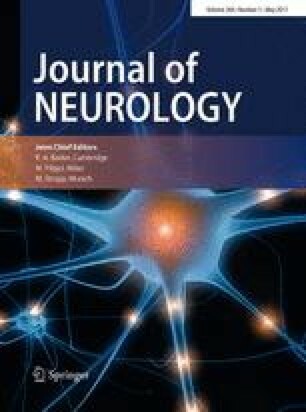 In this study, we evaluated the clinical characteristics, autoantibody status (antibodies against AChR, MuSK, LRP4, titin and RyR) and genetic susceptibility (CHRNA1, CTLA4 and AIRE) in 114 Chinese JMG patients, and compared with 207 young adult MG patients (onset age 18–40 years). JMG patients were classified into two subgroups: the very early onset group (<8 years) and puberty onset group (8–18 years). The very early onset MG patients had a higher proportion of ocular MG and thymus hyperplasia, compared with puberty onset MG and young adult MG (P < 0.05). AChR antibodies were found in majority of JMG patients and were associated with more severe disease (P < 0.05), while other antibodies were rare in JMG. Moreover, the very early onset MG had a more prominent genetic predisposition than puberty and adult MG, affecting the susceptible genes CHRNA1 and CTLA4. JMG has the same pathogenic background as adult MG, but has typical clinical features and a prominent genetic predisposition in very early onset patients (<8 years). Specific therapeutic considerations are needed. The online version of this article (doi: 10.1007/s00415-017-8478-z) contains supplementary material, which is available to authorized users. A correction to this article is available online at https://doi.org/10.1007/s00415-019-09292-2. This work was supported by Torbjørg Hauges’ Legacy, National Natural Science Foundation of China (No. 81070963), Natural Science Foundation of Shandong Province (No. ZR2010HM019), and Research Grant from Qilu Hospital of Shandong University (Qingdao) (QDKY20152D01). Socrates J Tzartos has shares in the diagnostic laboratory Tzartos NeuroDiagnostics. All other authors declare no conflicts of interest.